We hold ourselves to the highest standards in the industry and have memberships with major pest control organizations to ensure that we continue to stay on the cutting edge of pest management and can continue to provide our customers throughout Florida’s Treasure Coast with the best service around. The National Pest Management Association, a non-profit organization with more than 7,000 members from around the world, was established in 1933 to support the pest management industry’s commitment to the protection of public health, food and property. This commitment is reflected both in the continuing education of pest management professionals and the dissemination of timely information to homeowners and businesses. CPCO of Florida is a non-profit state pest control association dedicated to serving the needs of its members and the industry as a whole. Its mission is to provide its members with the information, education and job skills they require in order to be successful in business and in step with the Federal, State and local regulations. 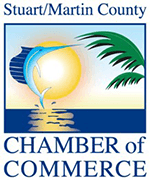 MCBE is an independent organization founded in 1986, headquartered in Stuart on Florida’s Treasure Coast. Their members share a common interest in good business practices. They regularly do business with each other and feel comfortable referring friends and associates to fellow members. in Stuart, FL for 8 years running!